Let’s face it. After a great start to the year, things are not really panning out the way we might have hoped for the Sharks. Last weekend hurt my feelings quite a bit – I was pretty certain we had it in the bag. The team was playing well, there were some great attacking moments, we were consistently ahead…and then somehow we let it all get away from us in the final quarter. I could say they were tired after travelling (and I’m sure they were) but there’s still a need to attack more, and to make better use of the opportunities created. As Gary Gold himself has said, you can’t win if you’re defending for 80 minutes. It’s too draining and eventually defences collapse and games that were in the bag are suddenly lost. Yuck. The Blues were supposed to be our easy(ish) introduction to the tour – they hadn’t beaten us in 10 years after all. Ahem. Anyway, moving swiftly along. All the pundits have written the Sharks off for this weekend. Even my fellow Sharks fanatic at the office has backed the Highlanders on SuperBru. For shame. 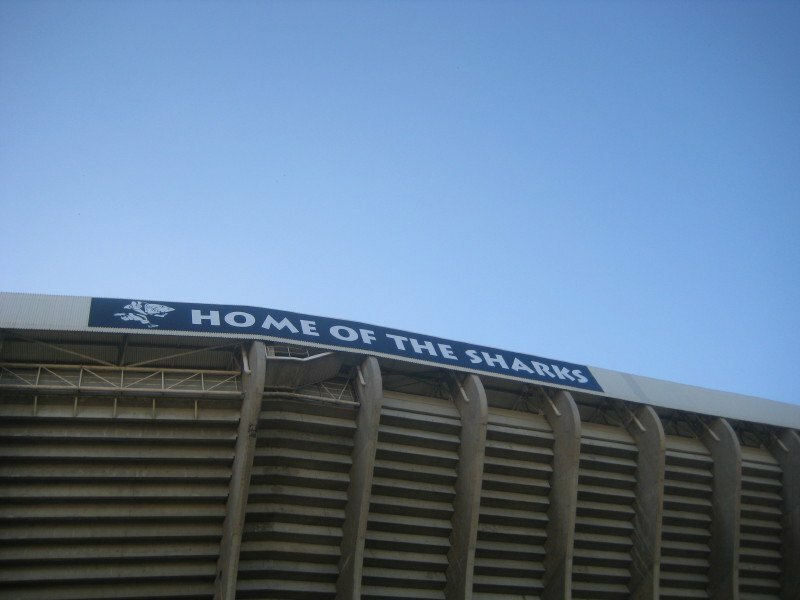 As you will recall from my original post on the subject of SuperBru, I will always back the Sharks. And while I may be wildly (unrealistically?) optimistic, I will always genuinely believe that the Sharks will win. It’s not like they haven’t surprised all those pundits before. I seem to recall a Sharks team, with “no chance” of winning against the Crusaders in New Zealand, doing just that, and with only 13 men. So, yes, I think we will surprise everyone this weekend and come back fighting (not literally though, let’s not try and recreate the 13 men scenario). The guys will need to come out on attack immediately and keep it up for the full 80 minutes. If they let a strong Highlanders team get ahead of them, they will be in dangerous waters, and we can’t have that. Gary Gold has made a fair few changes to the side, and it will be good to see Garth April get a start. I’m a little less convinced by Coenie Oosthuizen coming back into the starting line-up, since he seems to be having some difficulty during the scrums, but let’s see what happens. I do feel like this is becoming a crucial game for the team – five losses on the trot may be the blow to their confidence that we really don’t want to see.